A new all-touch smartphone dubbed the Z3 'Jakarta' has been announced by BlackBerry today, it's a low-end smartphone aimed at emerging markets. The device has been created in a bid to stay competitive in the cheap end of the market, dominated by Android. The Z3 will be built under a partnership deal between BlackBerry and the Hong Kong-listed Taiwanese electronic giant Foxconn- FIH Mobile Ltd. It is expected to be priced under $200. "We are excited to introduce the new BlackBerry Z3, the first smartphone to emerge from our strategic partnership with Foxconn, which was announced in mid-December, 2013," said John Chen. "The BlackBerry Z3 embodies all that BlackBerry 10 offers, with its exceptional productivity features and reliable communications, in a stylish, all-touch design made affordable for customers in Indonesia." This budget smartphone will debut in Indonesia during April 2014, but offer an LTE version to other parts of the world in the near future, says BlackBerry CEO John Chen. It will also be released in the Indian market, Chen thinks that "the Z3 with its features will be competitive in the Indian market at below $200." The Z3 smartphone features a 5-inch qHDdisplay and is said to have a long lasting battery. 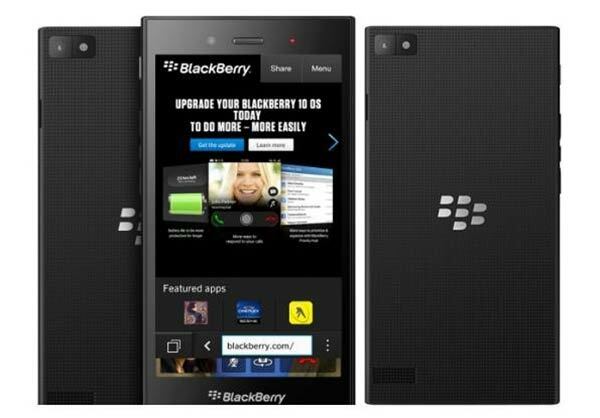 It will come with BlackBerry 10 OS version 10.2.1 and is expected to run on a 1.2GHz dual-core Snapdragon 400 chip. Other unconfirmed specs include; 1.5GB of RAM, 8GB internal storage, a 5MP rear camera, a 1.1MP basic front-facing camera and a 2,659mAh battery. Also officially confirmed today is a new device known as the Q20, codenamed 'Classic'. This new BlackBerry flagship is in development and will be launched with BES 12 in H2 2014. The Q20 is designed to feature the "tool belt" employing its classic trackpad and function keys and will be a QWERTY device. "Today, we’re delighted to announce the new BlackBerry Q20 smartphone, which is designed to give you the distinct experience that every BlackBerry QWERTY loyalist and high-productivity business customer absolutely loves. With the BlackBerry Q20 smartphone, you’ll get the familiar hard buttons and trackpad that you want, along with the best email service, the best keyboard experience and the best battery life possible," said Chen in apress release. 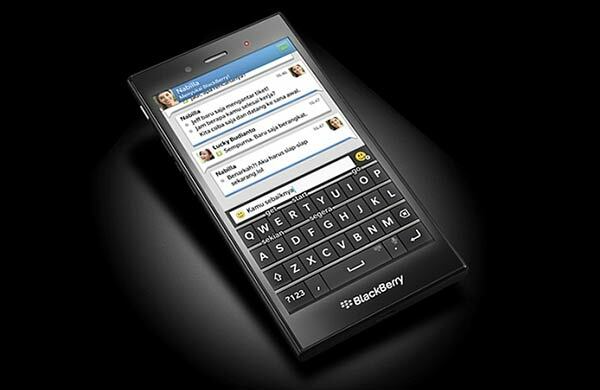 Hardware gracing the Q20 includes; a 3.5-inch touch screen accompanying the full QWERTY keypad. This smartphone, being a flagship, will be "crafted from premium materials and designed for reliability and durability". The only other hardware spec that is hinted at is a "large battery to provide superior battery life". According to Engadget reports, the BlackBerry CEO has also confirmed that the firm is working on other high-end smartphones which will be unveiled later this year, although no additional information was given regarding these devices. Chen also informed reporters that Blackberry currently has no plans to invest in developing any wearables. Other positive news announced from BlackBerry today includes the availability of BBM support on Nokia's X range of devices and on Lumia Windows Phones later in the year. BlackBerry's real-time platform QNX is also rumoured to have been chosen by the Ford Motor Company to replace Microsoft Windows in its Sync multimedia head unit solution. This 5.4-inch Android smartphone with slide-out physical keyboard costs £579. Company partners with IBM and Samsung in developing the new secure slate. The last-ditch effort hopes to win back the old-school BB keyboard loyalists. I'm one of those people who prefers a physical keyboard than a touchscreen when typing but the thing I don't like about BB are the prices of their handsets. They're expensive.